Did Fable 2's co-op mode piss you off? Did you fling your controller while trying to adjust the camera? Did you punch Grandma in the spleen because you couldn't bring your single player character into her game for co-op? Would you say you were "super pissed?" Hold onto that nerd rage because it's about to continue into the game's sequel. According to Peter Molyneux there's going to be a big announcement for Fable 3 at Microsoft's X10 event in San Francisco this week, but he's a bit nervous about how it's going to go. 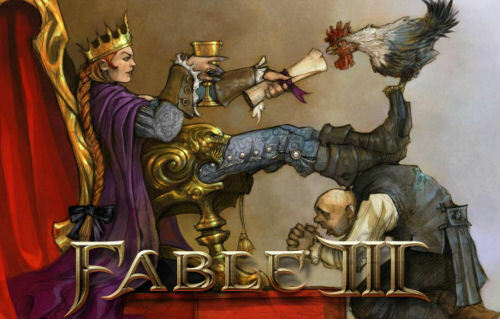 "There's some very, very big things happening in Fable," said Molyneux, "They're going to get super pissed off, they really are... Still, it's the right thing to do." What could the master of hype have up his sleeve? There's very little hinted at in the original interview the above quotes were taken from. Molyneux has a long history of stretching moral grounds and giving players absolute power over a virtual world, and most times, his vision and hype of it far surpass what can actually be made. With Fable 3 being ripe for Natal support, considering Lionhead's ventures with Milo, I have no doubt that there's going to be some wild and crazy inclusion of Microsoft's motion and facial recognition platform in Fable 3. But could this be what pisses people off so much? Time will tell, X10 kicks off on February 10th, and we'll be sure to bring you the coverage right here. We'll still keep our fingers cross for an improved cooperative mode. Page created in 0.7738 seconds.